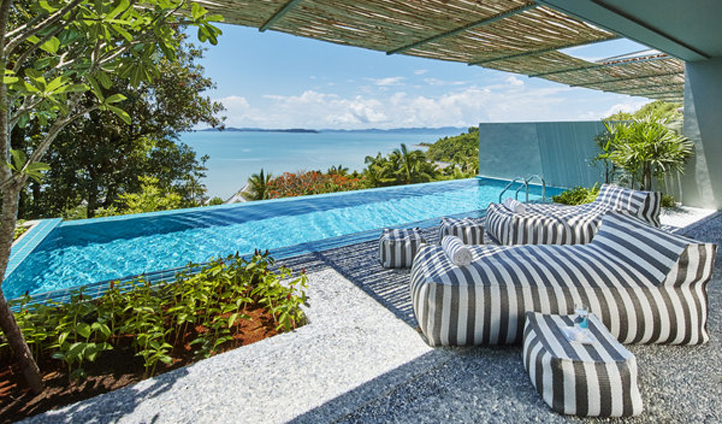 COMO bring their flawless design and effortless charm to Phuket’s East coast with Point Yamu luxury resort; 106 serene rooms, suites and villas overlooking Phang Nga Bay, with 360 degree views of the Andaman Sea. Interiors by Italian designer and perfectionist Paola Navone give this Thai paradise a Mediterranean spin and with a Shambala Spa and two world-class restaurants to boot it’s the perfect stop for travelers looking for an escape. 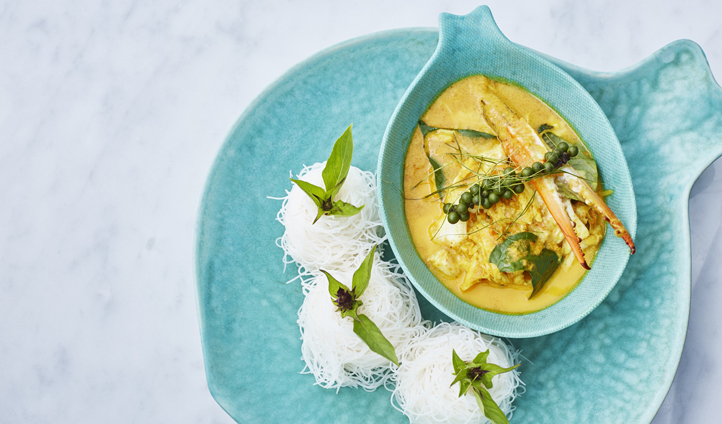 The hotel is nestled on the tip of Cape Yamu on the East coast of the Island, just 25 minutes from Phuket International Airport, overlooking Phang Nga Bay. While this little piece of paradise does offer panoramic sea views from every room, it is not a conventional beach resort with no direct access to a private beach. The upside: COMO Beach Club on Naka Yai Island in the Andaman archipelago, offering a truly secluded beach escape as well as saltwater pool, sun deck, day beds, water sports center and two treatment rooms – as well as a kids club for when you’re enjoying your Shambala Signature Massage. COMO Beach Club is a 40 minute boat ride from Yamu Pier and is serviced daily by the hotel’s shuttle service. Each of the 106 rooms, suites and villas offer spectacular sea views from their floor to ceiling windows and most have private terraces looking out across the Bay or inland across the Cape. Pool suites also offer private pools for that extra touch of luxury. Italian designer Paola Navone has decorated every room category in the same contemporary, minimalist style with clean lines and turquoise accents complementing the sea views. For the COMO effect. As with every COMO property we know and love, Point Yamu evokes that same, distinctive feeling from the second you step foot into the grand, open foyer; serenity, indulgence and like you are walking through a living edition of Wallpaper Magazine. Plus it’s the best massage in Thailand.